No one loves us like our dogs, and no one loves our dogs quite like we do. But just like with our human children, dog parenting is hard! It's easy to make mistakes, and oh-so-important to be educated. Owning a dog is a big responsibility! Making sure that you are fulfilling the role of responsible dog owner is critical to the health and well-being of your four-legged friend. As dog owners, there are also tangible benefits to our own health and well-being. Keeping your dog happy can help keep you happy. Have you had your sweet boy neutered? 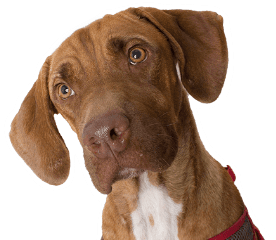 The Humane Society of Southern Arizona (HSSA) is neutering male dogs for a $25 co-pay (plus a mandatory $5 e-collar) during the month of September. Call the Spay and Neuter Clinic at 520-881-0321 and leave a message requesting an appointment. There are many benefits to spaying and neutering your pets, so don't miss out on this great deal! Stay tuned to our blog throughout the month of September, so you don't miss our upcoming posts on what it means to be a responsible dog owner!